To become your market of choice and to all health conscious, earth-friendly consumers. To serve you truly organic products with the best quality in the market. To build trust, customer satisfaction, and loyalty to our brand. We strive to be your green neighborhood market and we’re committed to the many communities we serve. We promise a culture of accessible and affordable wellness with the help of our friendly, expert associates to our health and earth conscious customers. We accommodate diet and lifestyles of all variations including vegan, vegetarian, gluten-free, paleo, keto and more. Together we stand for quality, value and health through all of our organic and natural products. You can shop in our stores with confidence knowing that we carry the safest, healthiest natural & organic products you need and desire. Often loosely defined, we take the definition of natural seriously. It isn’t just a marketing term. We review our foods and dietary supplements to ensure they do not contain any artificial ingredients used to preserve, color, emulsify, stabilize, or solidify them. Our body care products and cosmetics are also screened to ensure they contain the safest ingredients available. We will never compromise or stop searching for the healthiest foods and highest-quality products for you and your loved ones. Earth Origins Market consists of eight locations that has been serving the community since 1993. Each store was independent and had different names such as Mother Earth Market, Sunsplash Market, Nature's Finest Foods, Palm Harbor Natural Foods and The Granary. In 2010 they all blossomed into the name Earth Origins Market. We support mandatory GMO labeling, in support of the consumer's right to know. As the campaign to label food products made with GMO ingredients moves across the states, Earth Origins Market is proud to stand with the growing consumer movement for transparency by supporting mandatory GMO labeling legislation. We place labels on our shelves to help identify non-GMO items in our stores, allowing consumers to make an informed decision about their purchases. 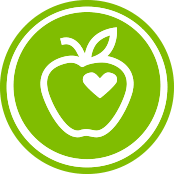 We commit to supporting brands and products which are sourcing non-GMO ingredients for their products and we also encourage and motivate manufacturers to seek non-GMO source materials. We believe bioengineering of food is simply inconsistent with the very basic idea of natural food. We thank and encourage all those who are continuing this fight in support of transparency and the consumer’s right to know. Together, we will make a difference!